Chillout music for late nights and early mornings. Old school hip hop beats, deep dubby bass and blissed out ambience all mixed up and served chilled. Written and recorded in a week during a particularly gloomy Northern England winter, but perfect to listen to on a Summer's evening. License Chillout music for late nights and early mornings by Kalabi for your project. 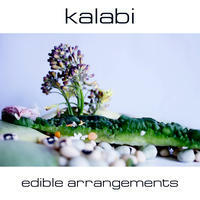 Play the music of Kalabi in your restaurant or store.